Take a look at our huge range of resources, to help you explore the issues with your class and teach about barriers to education. Available for KS1, KS2, KS3 and KS4. Download the 2019 Teacher’s Pack now with everything you need to get your class and your school involved. 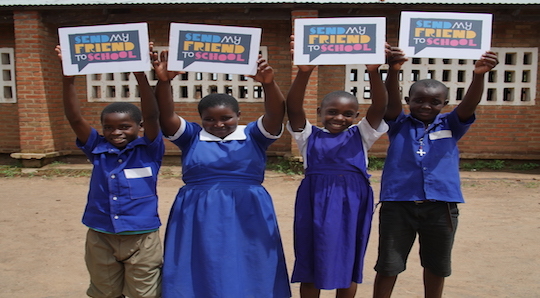 Read the real life stories of children who are missing out on education and young people who are joining the global campaign for education for all. Download versions adapted for KS1 and KS2-3 age groups. Get campaign facts and statistics or MP information in our Factsheets section. 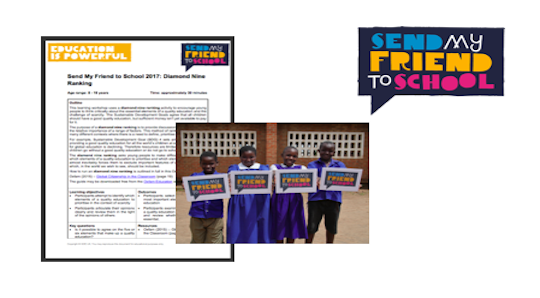 Download PowerPoints for school assembly or pick an Activity Sheet on global education, real life stories or persuasive writing. Explore the issues in depth with our video clips. Highlights include: real life stories from overseas, lobbying the leaders and case studies from UK schools. 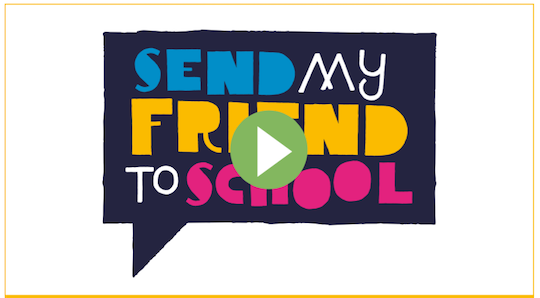 Learn about development, education rights, and how your school can take part in campaigning on education for all with our videos and activity downloads. 2019 Welsh language resources coming soon!